Not everyone was made to fly....rent from Royal Rent A Car a luxury vehicle and arrive in style at the 35th Annual Miami International Film Festival, during March 9 - 18, 2018, in Miami and Miami Beach. 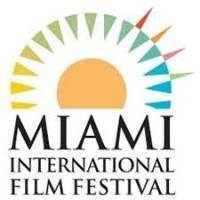 Presented by Miami Dade College, this Annual Festival attracts locals as well as visitors so don't miss out the opportunity to screen hundreds of films both domestic and foreign. For more information visit www.miamifilmfestival.com or call (305) 237-3456.